Expertise – Written by the most active and widely respected scholars engaged in research on distributed leadership, the book encompasses the very latest knowledge about the nature, causes and consequences of such leadership in schools. Comparative Models – The book compares various approaches to distributed leadership and examines the conditions under which some approaches may be better than others in improving schools. Evidence-Based – Much of the popularity of distributed leadership is rooted in expectations unsupported by systematic empirical evidence. 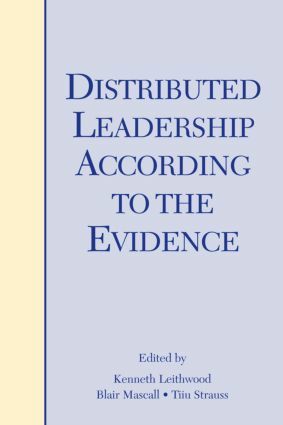 Virtually all of the available evidence about distributed approach to leadership can be found in this book. This book is appropriate for researchers studying school leadership, instructors and students in graduate-level school leadership courses and practicing administrators at the district and building level.